Port Macquarie Landcare Group Inc. This project commenced in July 2001. 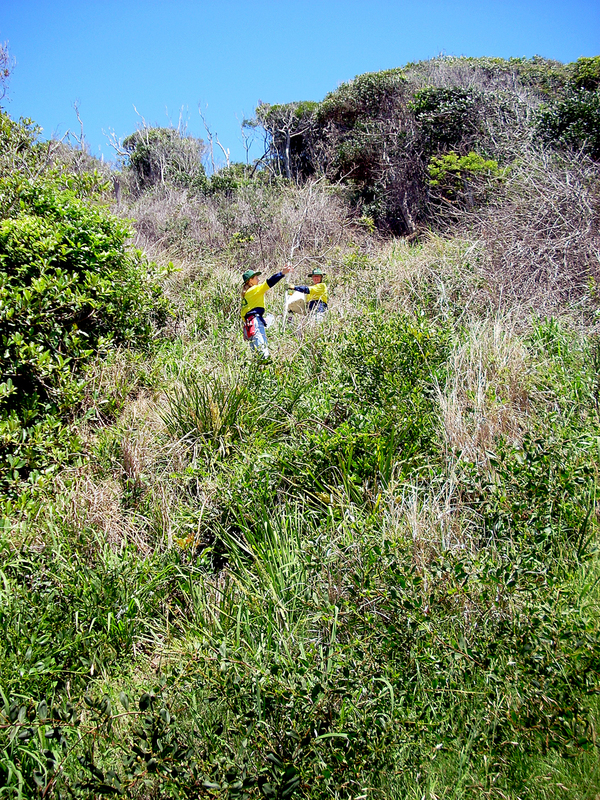 It involved the installation of steps to replace an informal path, and the removal of invasive weed species Lantana Bitou Bush and Senna. 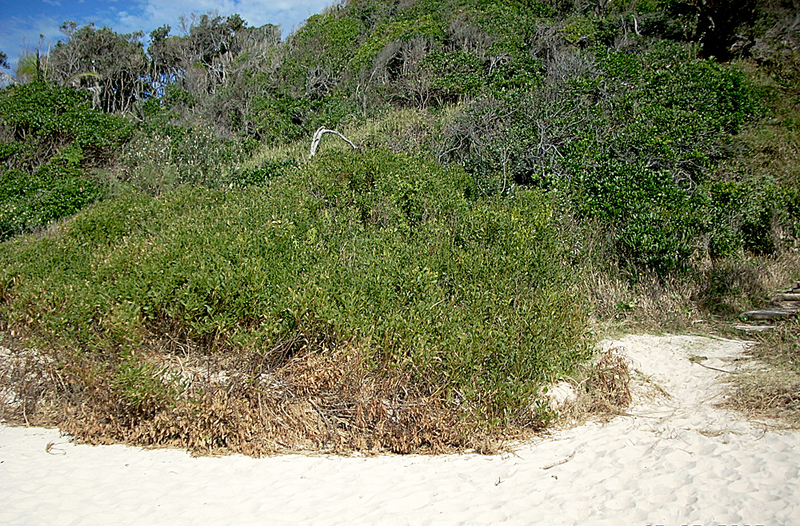 This site has been managed as a natural bush regeneration area due to the rich Littoral Rainforest seed bank. It has been very slow but is showing signs of good progress now. The new growth trees and shrubs are starting to do their job of shading out the introduced grass species. This process will be ongoing for several more years, the only work to be done by the group will be maintenance weeding. One of the interesting results we found was the ability of Blady grass to out compete the introduced grasses, mainly paspalum. When walking up the steps the result of the plantings on the right hand shading out the annuals and grasses side can be seen. This is a very difficult site to work and the dedicated small group of experienced volunteers should be congratulated on the results. This reserve reached ecological maintenance and has been returned to the Council Natural Resources Section's Bush Regeneration Team for ongoing maintenance.